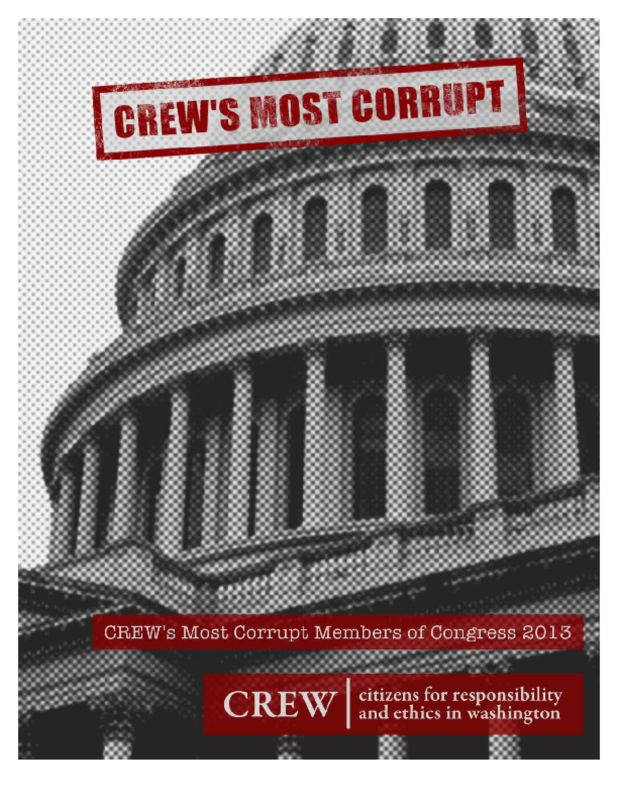 CREW's ninth report on congressional corruption names and shames 17 members of Congress. Most of those on the list violated the law and all flagrantly ignored the rules. Since 2005, CREW has named 88 members of Congress to the list, 45 of whom are no longer in office. Copyright 2013 Citizens for Responsibility and Ethics in Washington.